I’m thrilled to debut Automne à Rhinebeck, an Indie Untangled exclusive by Paris-based indie dyer La Bien Aimée. Preorders of the yarn, to be picked up at the Indie Untangled Rhinebeck Trunk Show on Oct. 20, are now open. You can also purchase Asylum Fibers’ coordinating colorway, Rhinebeck’s All the Craze, and event tote bags, and avoid the frenzy in the Indie Untangled booth. PLEASE NOTE: I know you’re as crazy about this colorway as I am, but preorders are for pickup at the trunk show only. Any orders that are not picked up at the show, by you or a friend, will be refunded. The yarn will be available for sale via the Indie Untangled website after Rhinebeck. Thank you for your patience and understanding! I love the idea of mystery KALs, but I’m generally hesitant to spend my time knitting a design I’m not sure I’ll like. Casapinka’s Moroccan Magique is the perfect solution to this conundrum! One clue for this rectangular wrap will be released per week over six weeks. 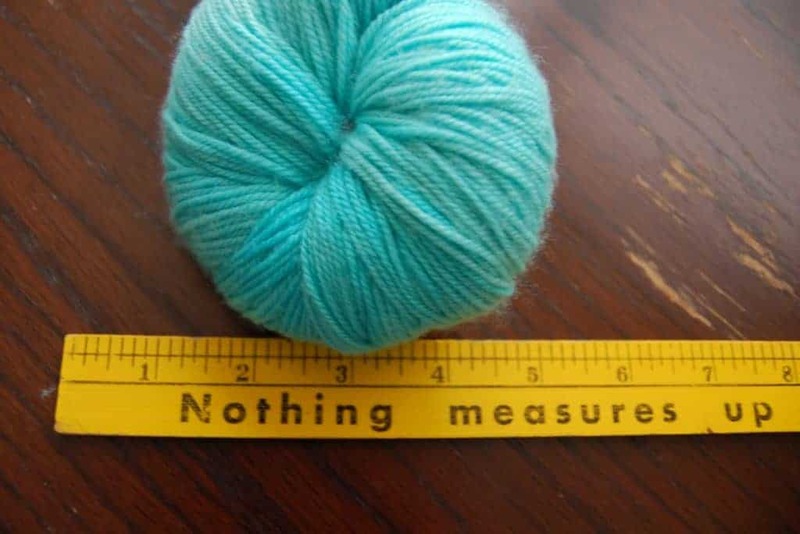 The KAL will include prizes, even for those of us who are slow knitters. With Pointed Sticks is all ready for fall and, after a summer hiatus, Susan has stocked her shop with autumn- and Halloween-inspired hues. Many of the colors are non-repeatables, so grab them while you can. Rock, paper, scissors, lizard, Spock… project bags and yarn! 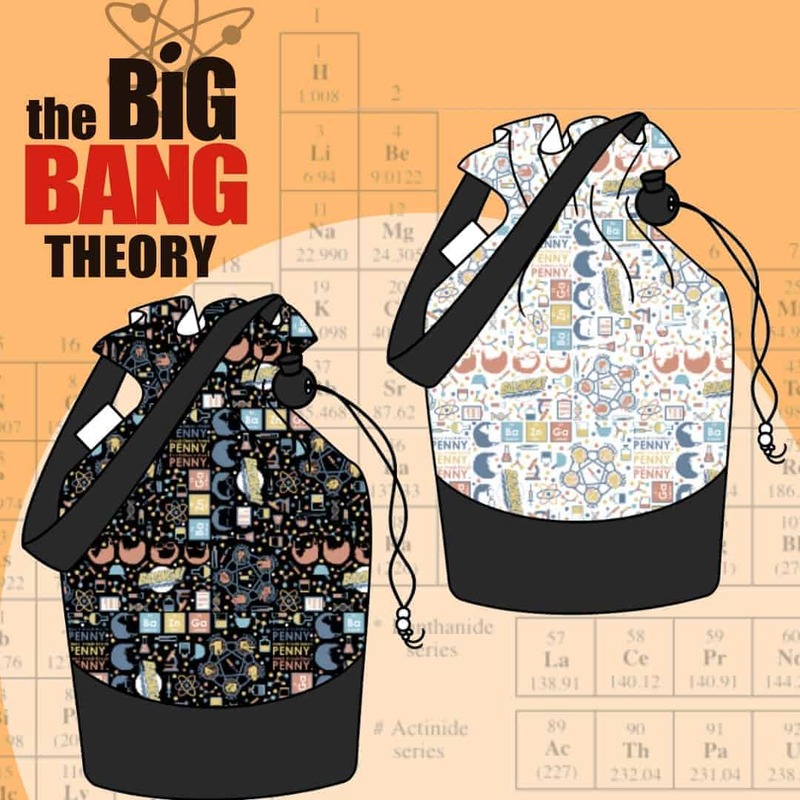 An epic indie collaboration debuting today includes project bags and accessories from Slipped Stitch Studios, with fabric by Insomniac Designs, along with yarn from Pandia’s Jewels… all inspired by the hit TV show The Big Bang Theory! The sale goes live at 9 a.m. Pacific time. 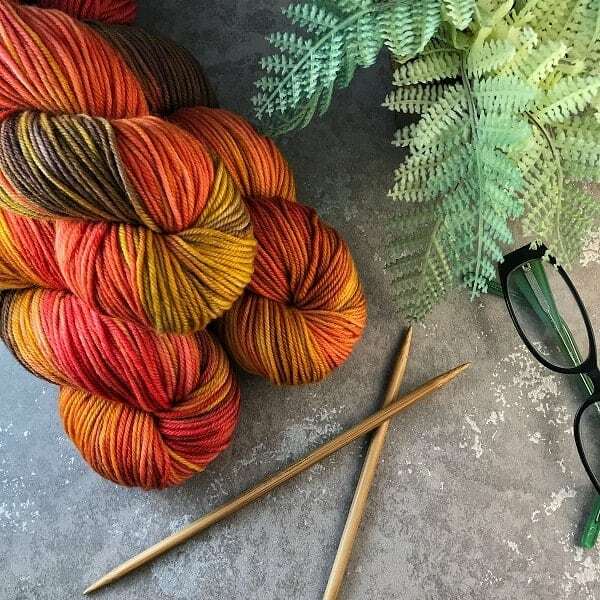 Melanie of Baad Mom Yarns has changed her shop update schedule to every week, and she has some beautiful autumn colorways in stock. 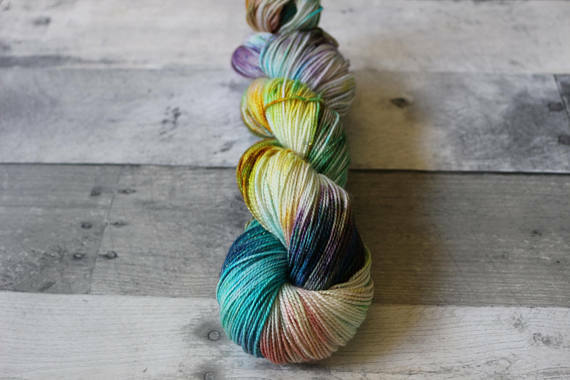 She’s also teaming up with nine other dyers to offer mini-skein kits! Click the pic to learn more. 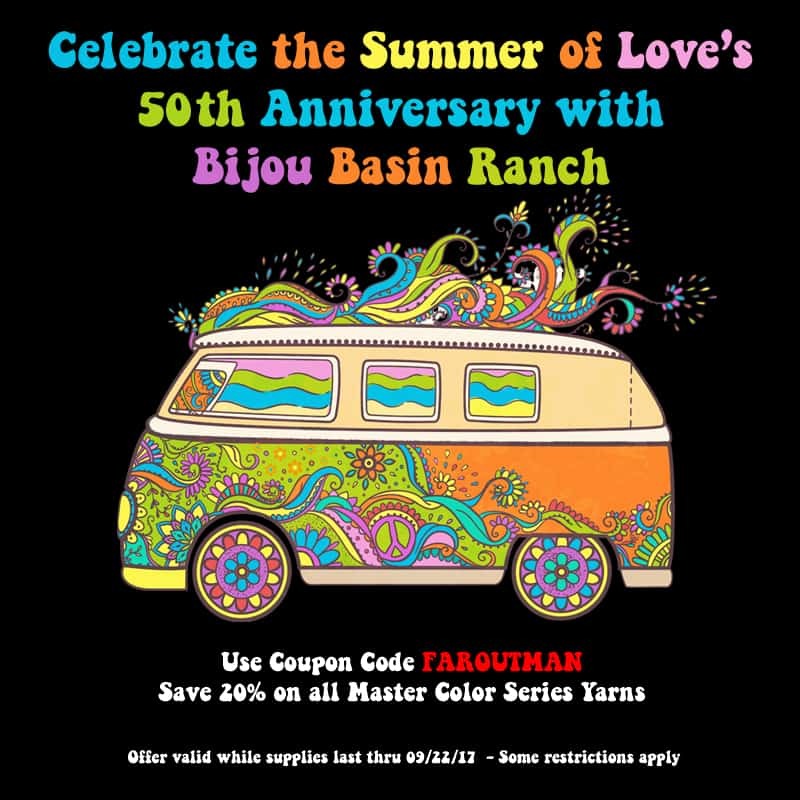 Bijou Basin Ranch is celebrating the 50th anniversary of the Summer of Love (we can pretend it was all about the love of yarn) with a sale! Get 20% off all in-stock yarns from the Master Color Series with the coupon code FAROUTMAN. 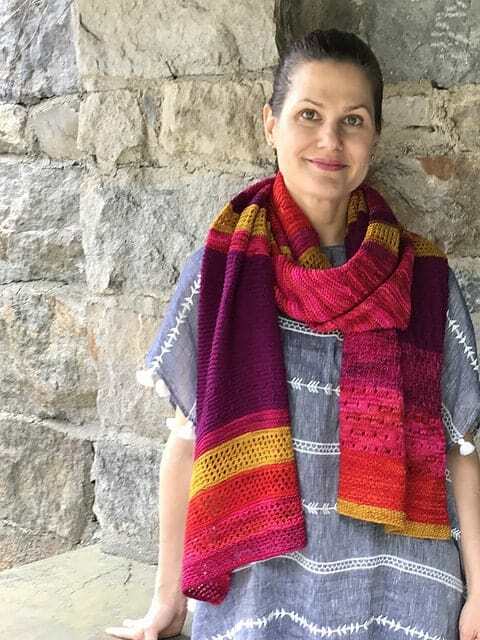 Just in time for Back to School is Lara Smoot’s Easy A shawl. This entry was posted in What to Stash and tagged bags, discount, KAL, kits, limited, patterns, pre-orders, rhinebeck, rhinebeck trunk show, sale, shawls, stitch markers, updates, yarn.